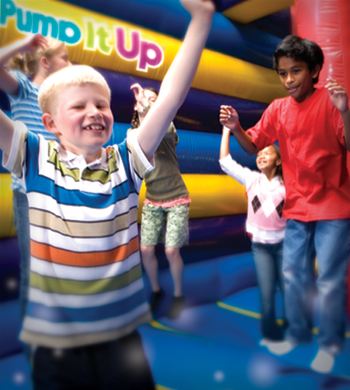 Book your upcoming Group event at Pump It Up and enjoy a private, two hour event full of bouncing, sliding, racing, climbing and having a ball! The decorated Party Rooms can be used for refreshments or meeting space. 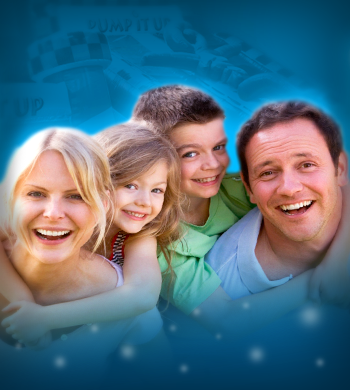 Pump It up can accommodate small or large groups in our weekday schedule with stress free booking for you! We can customize an event to meet all of your needs! The Larger the Group, The Better The Group Rate! Contact our Special Events Coordinator, for details and group rate pricing, (610)638-1040 ! Thank you for your interest in having a Pump It Up fundraiser. Pump It Up of Springfield can help your organization raise money while your guests jump for joy on our super-sized inflatables. Setting up a Pump It Up fundraiser is simple. 3.ADVERTISE your event so that it is well attended. *Ask about ways you can boost your attendance by opening up your FUN-raiser to the public.